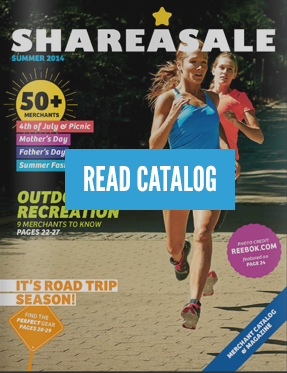 One of the reports used most by ShareASale Merchants is the Affiliate List report. This report shows the status, location, and website of all Affiliates in a given merchant program. In many ways, the report is also one of the most important, because it allows Merchants to contact, segment, and reward Affiliates. This significance is exactly why it has been updated in the month of the #Interface. It has been completely overhauled and I am sure most will be really impressed with the new functionality. An image of the original Affiliate List report. An image of the original Affiliate List filters. With the old Affiliate List above, there were some filters present in the report but they were not intuitive. The majority of the filters were found by clicking “Show Advanced Search,” adding in an additional step to the search process. With the new filters in the Affiliate List below, we have included the now familiar Affiliate filters, allowing the user to filter by typing in the Affiliate ID, website, or by tag. An image of the new Affiliate List report. We have also taken the filters from the original Advanced Search and brought them to the very first screen, eliminating the need for an extra click. We added in new filters such as Keyword and the Apply Date to make it a bit easier to search and tag Affiliates. There is also a much easier way to search for specific performance metrics. Previously, we only allowed searches based on commissions or hits over the current month or total. We added in the ability to search for other parameters, such as the EPC and there is now the ability to select a custom date range. An all new function for a Quick Search has been added that allows you to search in comma delimited lists based on keywords and Affiliate IDs. In the actual list, there is now extra information, such as the Affiliate’s FTP access and the additional websites that the Affiliate has listed. One of the last changes made to the overall Affiliate List is the updating of the Group pages. When viewing a group, you will now see a build similar to the traditional Affiliate List. This should make it easier to sort quickly through group members. There is also a new simpler way to see and update the commission rates for a specific Affiliate group. These are only some of the numerous highlights of the new and improved Affiliate List Report. If you would like to have a walk through, please sign up for one of our webinars and one of our amazing client services team members will walk you through our Merchant Interface. I love the new blog and all the helpful posts! Just curious if the team plans to write more posts and tips for publishers as well? This would be great. Also I’m not really sure where to put this, but I wanted to share with you a suggestion for an improvement I would love to see on ShareASale for publishers. — Some type or way to organize our programs. Some publishers work with several merchants and it can sometimes be frustrating or time consuming looking through them all to find a certain one or two. I would love for there to be a way to create categories or folders to organize my programs into.